Secret Stories® Phonics Blog with Katie Garner: Skip the Bus and Catch the Merry-Go-Round! 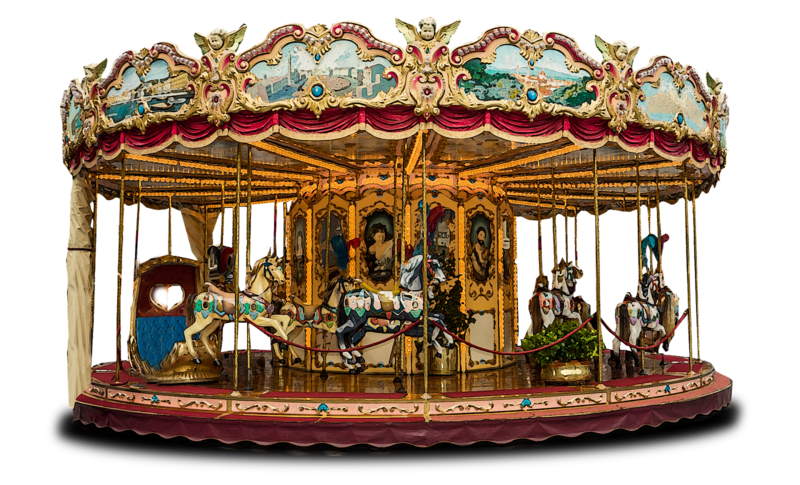 Skip the Bus and Catch the Merry-Go-Round! Does it ever feel like every day is a new day in Johnny's head? What I mean is, have you ever spent an entire week teaching something, only to have some kids look at you like they have NEVER seen it before on the following Monday? With so many skills to cover in so little time, teachers have to ensure that what they teach actually sticks. Imagine that you are a bus driver and that the skill you are teaching is a stop along your route. Some of your students make it to the stop in time to catch the bus; others do not and so they are left behind. So what happens to the kids who miss the bus? Will there be another bus coming up behind it that they can catch? And what happens if they're still not ready? How many more chances will they have to get on board? 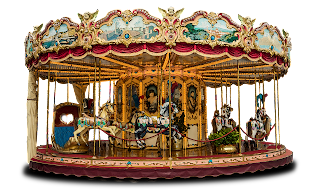 Now instead of a bus driver, imagine that you are a merry-go-round operator, and the skill you are teaching is one of those pretty horses on the merry-go-round that keeps on spinning round and round. Opportunities to jump on are constant and ongoing, as it's literally impossible to "miss" the merry-go-round! 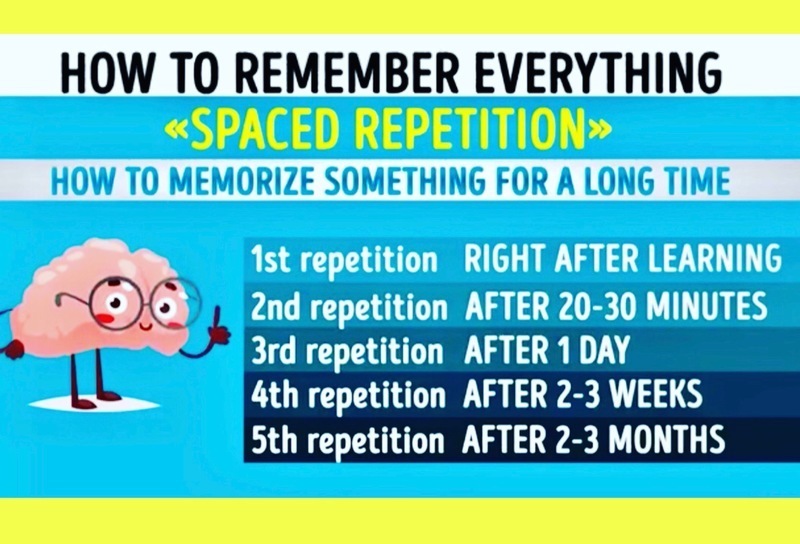 Consider this same merry-go-round analogy as a framework for what brain science tells us makes memories stick, which is to provide spaced repetition at designated intervals (see below) so that the newly learned information just "keeps coming back,” and can therefore be more easily transferred into learners' long-term memory. Once there, the information is theirs forever—never to be forgotten or fall prey to the "summer-slide!" Skills that are traditionally introduced in a linear fashion over multiple grade level years (like letter sounds and phonics patterns) can be the most challenging to "bake" using the above recipe. With so many skills to cover, so little time to teach them, and so many students who are not developmentally ready to learn them in kindergarten, teachers in first and second grade are often trying to reinforce skills that many learners don't even have. If teachers in preK or kindergarten introduce a letter of the week, what happens when a student misses "D” week because he’s out sick? Worse yet, what if he is out for two weeks and misses both "D" and "E" weeks? 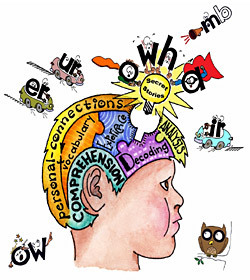 What if a learner isn't developmentally ready for kindergarten and hardly picks up any of letter sounds the letter sounds introduced that year? in 2 weeks to 2 months via early learners' muscle memory. Will the first grade bus have time to circle back around through each of those individual letter sound "stops” that he missed in kindergarten? If it does, will it be at the expense of making all of the necessary first grade stops— th, sh, ch, ph, wh, gh, etc..? And as he gets further and further behind having missed so many stops, how will he compensate for the skills he doesn’t have? 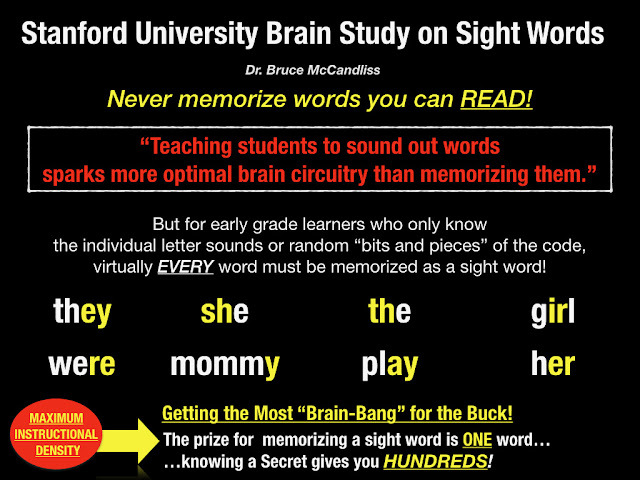 Will he have to memorize even more sight words in order to make up for all of the skills he didn’t get that are in all of the words he can’t read? When it comes to reading and writing and the skills kids need to do it, this conversation becomes critical. Traditionally, the “code” that’s needed to read and write— from the individual letter sounds, blends and long and short vowels, to the silent e/Mommy e®), Sneaky Y®, digraphs, vowel combinations and VCCV/VCV/Babysitter Vowels®— are all “chopped-up and divvied-out" for formal introduction across multiple grade level years (PreK-2nd), which means that kids simply cannot afford to miss even ONE bus along the way….not if they're supposed to be done "learning to read" by the end of second grade and ready to "read to learn” by third. Closing the distance on all of the "missed stops" (i.e. phonics skills) in such a short amount of time is extremely difficult and rarely happens with traditional methods of instruction. 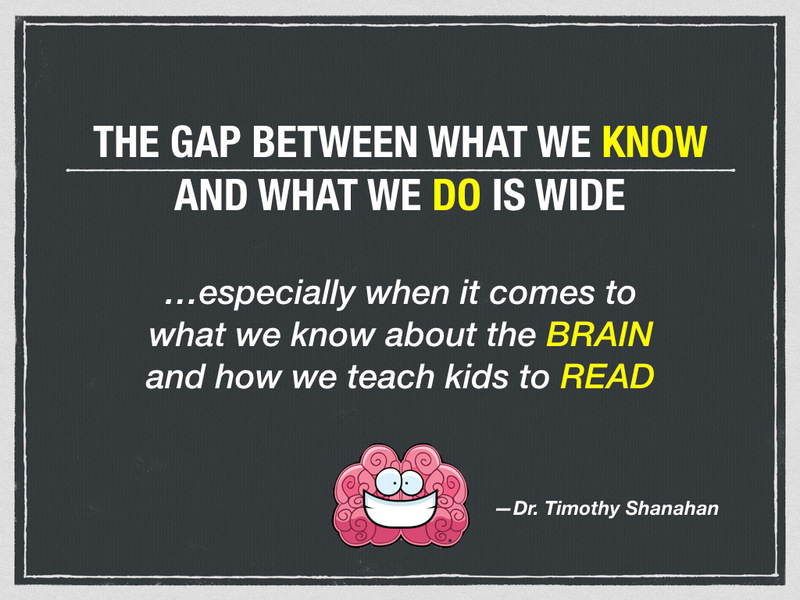 Instead, kids who missed buses along the way must learn to compensate for the "holes" in their skill ability by memorizing more sight words and becoming better guessers, as the instructional focus is no longer on teaching the reader, but on teaching the reading. Struggling readers will carry these gaping holes with them through subsequent grade levels, where they become stuck on the instructional hump between learning to read and reading to learn. The critical skills that kids need to read and write must be banned from the bus. They belong on the merry-go-round! And if you are using Secret Stories® to underscore your existing reading curriculum and instruction, then the merry-go-round is already spinning around in your classroom, though you probably didn't even notice it. Every time you tell or retell a Secret, you are giving students another opportunity to jump on! Each time you ask if there is a Secret in a word they are trying to read, or if they hear a Secret sound in a word they can't spell, the merry-go-round is spinning.... solidifying a "deep-in-the-gut" level of skill-ownership for those who have already jumped on, while continually circling back for those not quite ready. 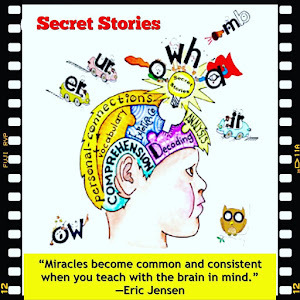 Using Secret Stories® to underscore existing core reading instruction makes it impossible for anyone to miss the bus because the Secrets just keep coming back— shared and re-shared, told and re-told, used and re-used— as students read and write across all content areas and throughout the entire instructional day. "The Secrets are the 'life-blood of our classroom, always within reach and ready for use, whenever and wherever they are needed"
Underscoring core reading curriculum and instruction with the Secrets naturally provides for the spaced repetition and staggered reinforcement that research shows "makes skills stick." It’s not intentional, but automatic, and it continues with each subsequent grade level at which the Secrets are needed. The code doesn't change with each grade level year, nor do the phonics skills kids need to crack it! 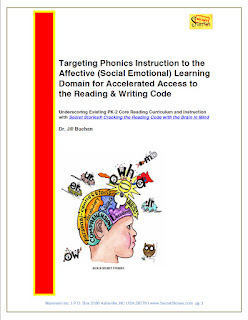 Kinders are expected to read and write words like the, she, now, girl, boy, play, etc… even though they contain phonics skills that sit on the scope and sequence for first and second grade. "Three to four grade level years is just too long to make learners wait for access to the whole code.” (Dr. Richard Allington). 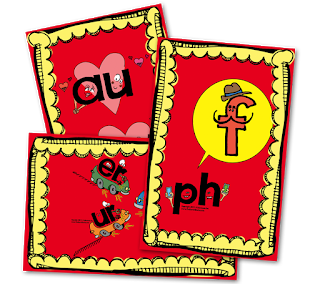 By targeting phonics skills to the earlier developing, affective "feeling" domain, Secret Stories® empowers learners as young as kindergarten with high-leverage phonics skills, like Mommy E® and the Babysitter Vowels®, providing the much-needed "trigger” for determining whether a vowel will be long or short. And the same Babysitter Vowel® Secret that beginning readers need in order to decode words like making or motor, upper-grade readers can use to crack words in higher level text hibernating or migration. And that merry-go-round just keeps on spinning— providing ongoing and never-ending opportunities for all kids to hop on when they're ready! And hop on, they will because Secret Stories® transform the code from skills they have to learn into "secrets" they WANT to know! 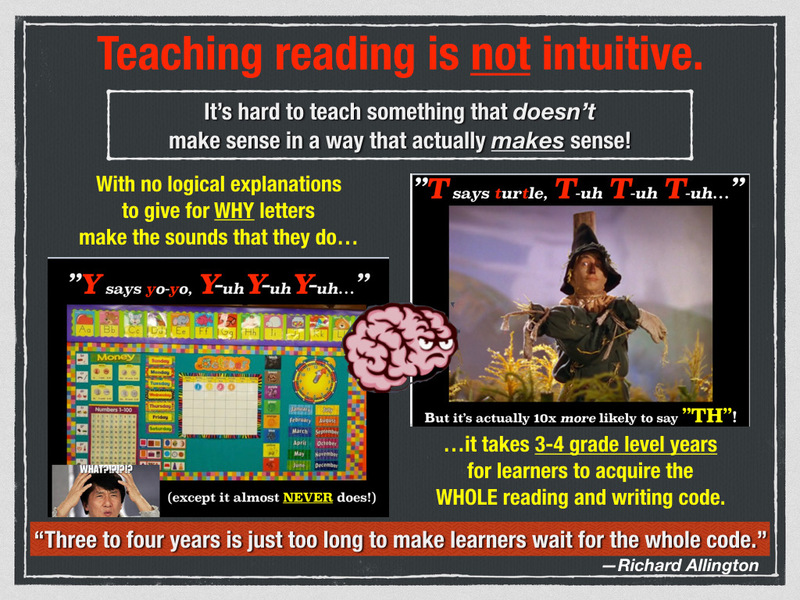 Teaching phonics is not intuitive, but many things that great teachers naturally do are! Today’s educators can take advantage of the advancements in new technology and brain science to hone their teacher-instincts and streamline instructional practice. Finally, I want to let everyone know that I have dragged myself out of my comfort zone to learn about and become more active on Instagram. If you're already on Instagram, you can find me @TheSecretStories, and if you're not, you can get started with me! I've learned (and posted!) there every day over this past week, and have really enjoyed the more personal level of engagement and interaction that Instagram offers. I will continue to post there daily (cuz it's a lot easier than composing a semi-well worded blog post— Lol!) sharing the latest research, live videos, YOURS and other teachers classroom pics and vids, as well as some behind-the-scenes conference and PD fun! My hope is to create a special space where we can communicate, collaborate, grow and share as a Secret Stories® tribe, as well as continue discussions started in emails like this one. I really hope that you will join me! (And if you do, be sure to use the hashtag #SecretStoriesReading and #BrainRead in your post so that I see it. PS I will be doing multiple featured sessions at the Michigan Reading Conference next weekend, and the North Carolina Reading Conference the weekend after that, followed by the Montana State Title I Conference, where I'll be doing a morning keynote and multiple breakouts. And if you would like to check out my spring/summer speaking dates, or schedule a school or district PD/workshop, just click here.